Planning a successful renovation of your home, requires a good deal of planning. Though a remodeled room can add to the overall décor of your home and even add to its functionality, remodeling, often times, can be quite expensive. 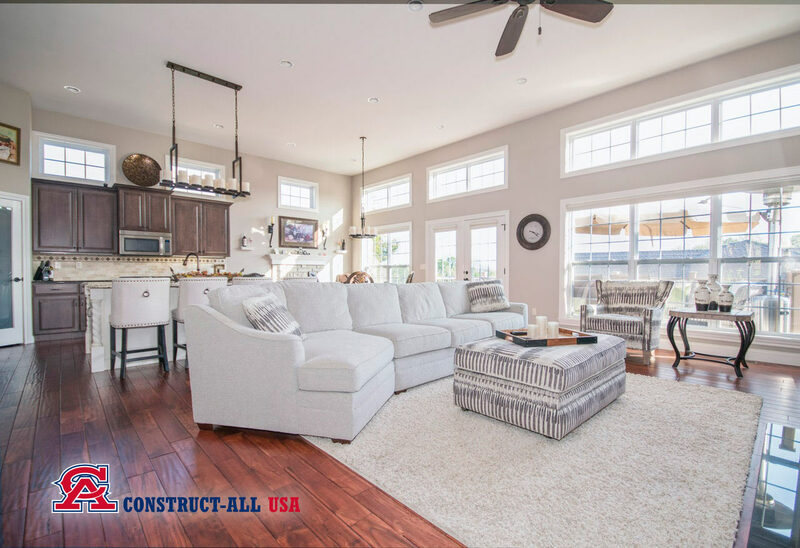 With that said, the folks here at Construct-All USA are here to help you make your living room functional without breaking the bank. 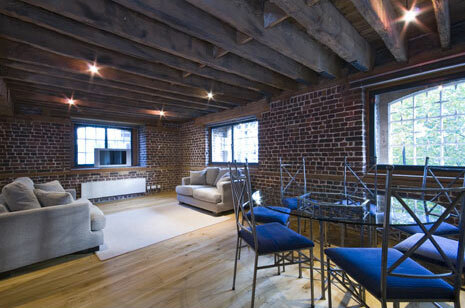 We will share some ideas on how to renovate your living room at a minimal cost. However, if you would prefer to leave your remodeling to the professionals then that is where we come in. Our highly skilled and trained technicians are proud of our award-winning remodeling services that are not only top-rated but every bit affordable as well. Your living room, though one room in the house that has no primary appliances or specialized features such as vanities, bathtubs, showers or specialized cabinets, can still be one of the most costly renovation projects you can take on. The reason is primarily because when homeowners elect to renovate their living rooms they are usually focused on replacing expensive furniture, window treatments and flooring. However, there are a variety of other ways you can renovate your home living space at a lower cost simply by giving focus to other elements in the room. There are a variety of ways to achieve the living room that suits your needs without having to spend a great deal of money. For starters, instead of replacing your furniture, you may want to invest in stylish slip covers that can change the overall pattern and appearance of your furniture. Slip covers are the ideal solution, especially when your existing furniture is still comfortable and meets your needs, but merely needs a bit of a facelift. A change of color and pattern is the perfect way of keeping your comfortable furniture, but giving it a whole new stylish look. Next, we highly suggest you move your furniture in the room to make a more functional space altogether. You can paint the room with warm earth tone colors, and even invest in an attractive throw rug that can complement your already existing flooring. The most practical way of minimizing the cost of your renovation project is to use the items you already have by making them work in your favor. With that said, one of the most important factors of any décor is color. One of the easiest and best ways to freshen up your ‘old’ looking living room, is by simply adding a change of color. In addition, you can add color throws or pillows to offset the beige or white colors you already have in place. Be sure when choosing a new color that it complements the décor you already have in the room. You want to ensure that you find a new living room look that matches your lifestyle and taste without taking up a great deal of time or money. Simple, thought out strategic planning makes all the difference in the world. Keep in mind, when you are in need of professional help with your remodeling project, it is important to have the right team of experts on hand to assist with all your decision-making and changes. 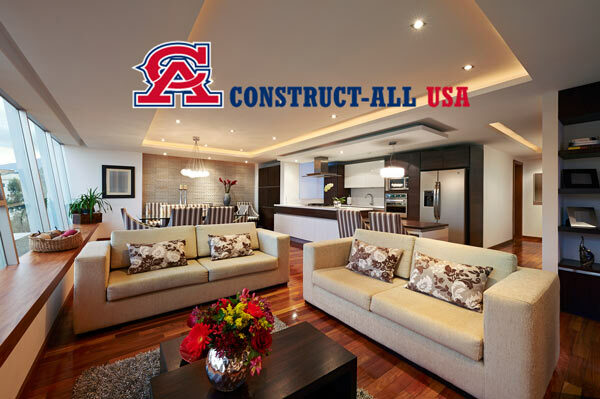 The professionals here at Construct-All USA are sure to make a difference. If you are thinking of remodeling your living room or any other room in your house, then surely you have come to the right place. Our team of professionals will help you to find the perfect way to maximize the space in your room and create a whole new look while saving you money at the same time. Fall is here so what better time of year to perform your renovation projects. 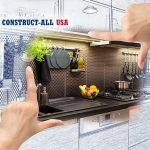 Take time out to contact the team here at Construct-All USA and take advantage of our top-rated, affordable remodeling services today. We look forward to serving you and to providing you with the best all round products and services for your home renovations this side of Tennessee. Don’t delay. Let’s get that living room of yours remodeled today! !